Bamberg-Ehrhardt's A.J. Williams signed a national letter of intent on Wednesday to play football at Wake Forest University beginning with the 2019 season. BAMBERG – The Bamberg-Ehrhardt Red Raiders played in the 2017 SCHSL Class 2A state championship and made it within 2 wins of playing for the 2018 title. No player was a more vital part of those runs and the 22 wins the B-E program posted the past two seasons than quarterback/free safety A.J. Williams. On Wednesday, the first day of the early signing period for NCAA Division I football programs, Williams signed a national letter of intent to play football at Wake Forest University in Winston-Salem, N.C.
Williams recently narrowed his collegiate scholarship offer selections to the trio of Wake Forest, Middle Tennessee State and Georgia Southern. After an official visit to Wake Forest earlier this month, Williams committed to the Demon Deacons. Williams is among a 20-player signing class with Wake Forest head coach Dave Clawson's program on Wednesday. It's a class that the Winston-Salem Journal is calling the "top recruiting class in program history." For Williams, Wednesday was a part of B-E history he has wanted to add to for years. "I can always remember (fellow B-E football products) Da'Quan (Bowers) and Ricky (Sapp) signing (with Clemson football), and I always looked at that picture thinking I want to be there one day, signing a scholarship to play college football," Williams said. "I just kept working at it and, today, it's finally here. A dream came true, I'm living my dream. "At first I was happy to get recruited. But, then, as it went along, I realized I had to make a tough decision. I thank Wake for really being there. They took me in like family. When I went on my official visit, I looked at my mom and said 'this is the school right here; I love it.'" Williams met Dillon High School defensive end Shamar McCollum, a 4-star 2019 recruit, during his official visit to Wake Forest. The two, along with Irmo's Kendrell Flowers, make up the Palmetto State contingent of the Demon Deacons' 2019 signing class on Wednesday. "The academic part, with Wake being a great academic school, helped me make my decision," Williams said. "I did my research on the graduation rate and the student-teacher ratio. So, a Power 5 school with a great education was right for me. "Everybody there knew everybody, so there was that bond." Having played on both sides of the ball, rarely leaving the field for B-E, Williams admits he looks forward to being able to concentrate on playing safety and conserving his energy to be the best at one position during his college career. This season, Williams rushed for 973 yards and 13 touchdowns, while passing for 584 yards and 4 touchdowns. When he wasn't playing quarterback, he was leading the defensive backfield, collecting 86 tackles, 8 interceptions, 2 fumble recoveries and 2 defensive touchdowns. "I'll take the work ethic that I learned here in Bamberg with me," Williams said. "I'm going to have the same mentality there that we've had here - if we're going on the field to play, we're going to get it (done). "Some schools recruited me as an athlete (versatile to play several positions) and some schools recruited me as a safety. It wasn't important to me what position I play in college; I'm just grateful to have the opportunity to play on scholarship." Williams looks forward to taking the field against Clemson and Florida State and other Atlantic Coast Conference programs. "Being noticed, at an ACC school eyes are on you; so that played a big part (in deciding which program to join)," he said. "I'm ready to play the big-time schools. "At first, the Wake offer had me a little skeptical, because they offered me so late (in the process for this recruiting cycle). But, then I thought about it, and they were pushing to get me on campus; so obviously they were really interested in me. They treated me like family and I loved it. The ACC is going to be fun." What might not be so much fun is what B-E first-year head football coach Robert Williams and his staff go through in replacing the athleticism of A.J. Williams at quarterback and free safety heading toward next season. "He'll get to concentrate on one thing now, so there's no telling how good he could be in college; because for us he had to do everything," Coach Williams said. "Everything worked out great and I think he picked a good school with a good football program. He did a lot for us and I think he will do some great things, going up against Clemson, Florida State, N.C. State and others. 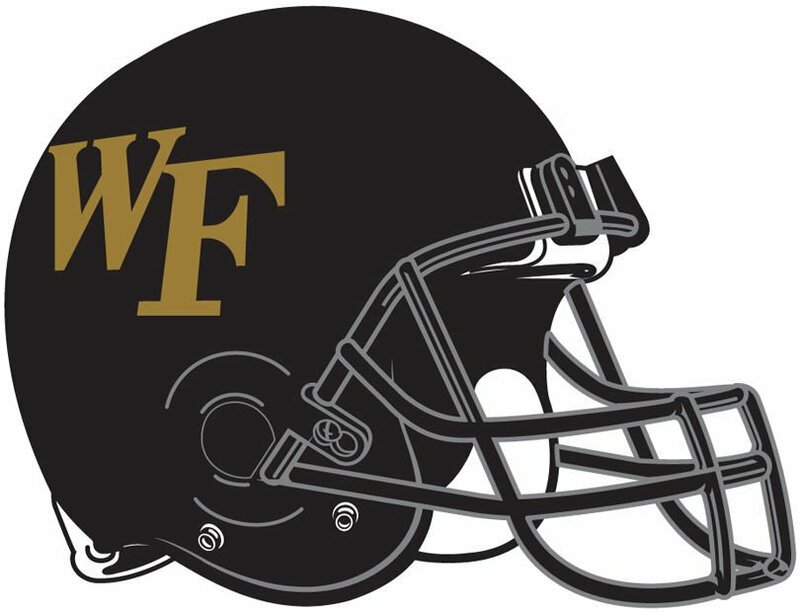 Wake Forest is a good, solid program that looks to be ready to take the next step toward competing for a conference championship. "We've had a good group of kids, along the way, who have signed football scholarships here at Bamberg-Ehrhardt. A.J. is continuing that, and we'll have a few more sign from this class. It's going to be hard to replace a player like him; it might take 3 or 4 people to replace him. But, we are happy for him and proud of him."